In light of recent statements in the media surrounding the problems of British Virgin Islanders entering the US Virgin Islands on their Territory passports, the Office of the Governor and Civil Registry and Passport Office would like to take this opportunity to confirm that the United States Virgin Islands (USVI) and British Virgin Islands (BVI) visa waiver programme remains in place, as mandated, and no further reports of problems have been received since September 2015. The United Kingdom (UK) Overseas Territories have now transitioned to a new style passport with biometric features to afford them access to the same standard of internationally recognised and secure passports as British citizens and to reduce the likelihood of identity theft and passport fraud. Each Territory retains its status as passport issuing authority. 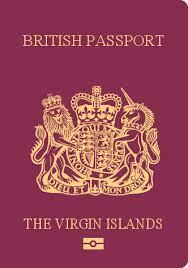 However, because the new British Overseas Territories Citizen (BOTC) ‘Scenic UK’ passport contains a chip which is covered by a certificate assigned to Her Majesty’s Passport Office (HMPO) in the UK, it was not possible to continue to issue the new passport using the Virgin Islands’ country code. For security purposes, the issuing state code shown in the passport needs to show ‘GBR’ to provide an accurate match with the issuing location, ensuring the passport is International Civil Aviation Organization compliant and can be read anywhere in the world. As a result of the code change last year, the United States (US) Customs & Border Control (CBP) in the USVI experienced challenges clearing BVI citizens at the ports of entry as their system pointed new BOTC passport holders to apply for a visa waiver (ESTA) instead of the separate visa waiver available to Virgin Islanders. This resulted in some delays at USVI ports of entry and inconsistent messages about visa waiver requirements. Once the problem was identified to BVI authorities, an immediate approach was made to CBP in St Croix who agreed to manually override their system to enable travellers to continue without further hindrance. Senior officials from HMPO remain engaged with US Homeland Security to identify a permanent fix. Cabinet members have been kept informed of all developments. HMPO is responsible for all aspects of the British overseas passport service. This includes BOTC passports. In line with the service already in place for British passport holders residing abroad, BOTC passport production has been centralised in the UK. It is important to remember that entry rules and visa requirements for foreign countries can change without notice to the UK Identity & Passport Service and it is not their function to give travel advice. BOTC/Territory passport holders have a separate visa waiver agreement between the BVI and USVI. Any other port of entry into the US (eg through Puerto Rico or Miami) requires a valid American visa.